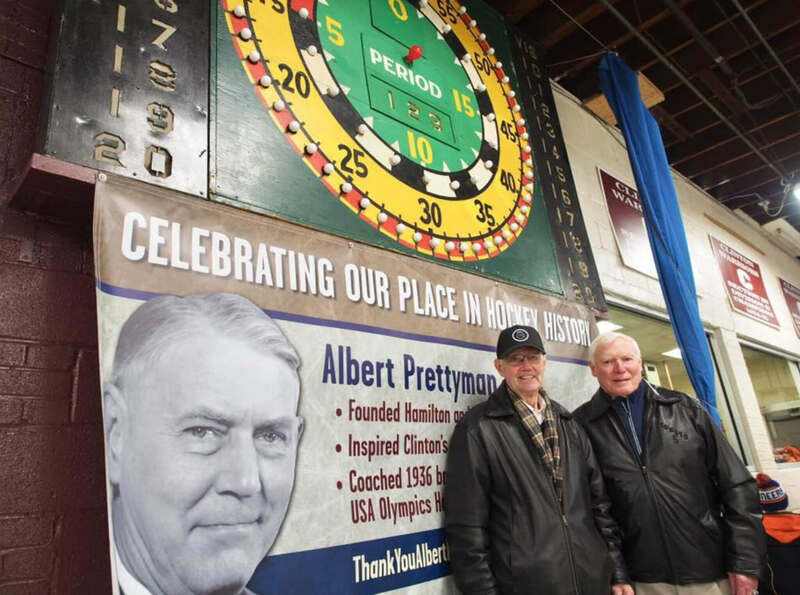 On February 8-11, 2018, we thanked Albert Prettyman with a weekend-long event to celebrate 100 Years of Hockey. 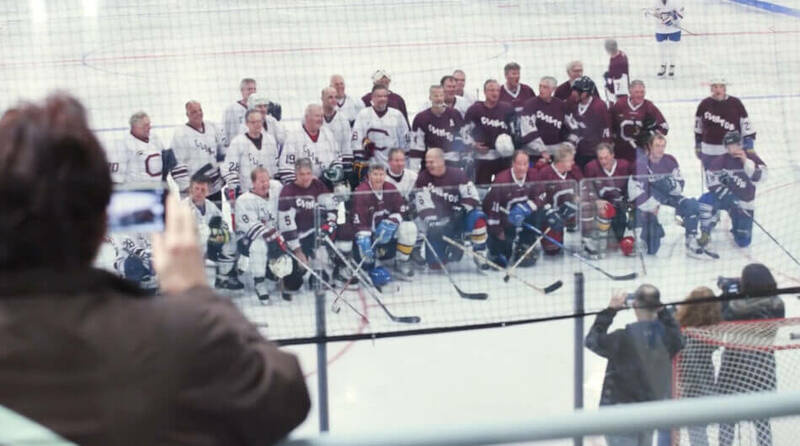 We held a hockey celebration that included hockey fans, players, coaches, and referees, including some who went on to fame, and many not-so-famous. 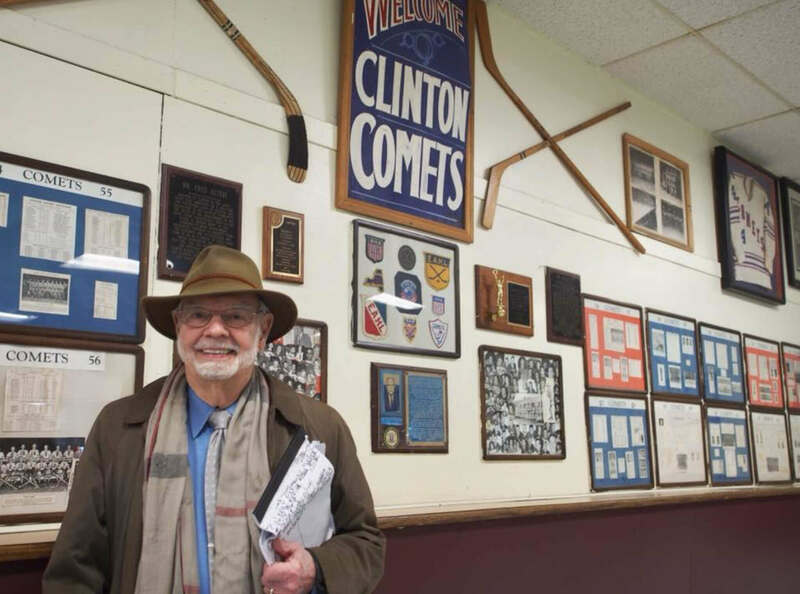 They all returned to Clinton to watch both Hamilton College and Clinton hockey games, attend hockey alumni events at the historic Sage Rink and legendary Clinton Arena, and recognize the success of the Clinton Town Team—later the professional Clinton Comets Team of the Eastern Hockey League. Attendees also enjoyed open skating, and numerous alumni hockey games. In assembling our past century of hockey history, we’ve created a companion book commemorating 100 Years of Hockey in our area. You’ll find stories, profiles, rosters from teams over the years, and much more. Patrick Kelly, one of the founders and the first commissioner of the East Coast Hockey League, celebrates hockey history. 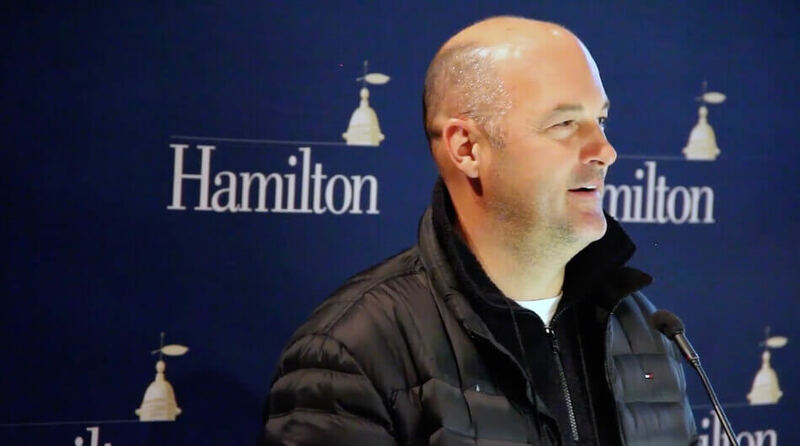 Guy Hebert Hamilton ’89, NHL All-Star Goalie speaks at the Hamilton Alumni reception. Participants of the alumni game on Feb. 10th. Stan Fischler attends the weekend festivities.